Ready to take your life and health to a whole other level? Well it all starts with what we eat and how we live. Learn the secrets of your body and how to eat and live the best you could ever imagine! No matter what level of health you currently feel you are at, let us take you one-on-one to the highest level we can go. Whether you’re looking to recover from and heal an illness, lose weight, build strength and energy or simply upgrade your already healthy lifestyle to a whole new level, we have the tools to take you there. There is no need to live life fatigued, stressed and feeling low when you truly can have and exude abundant energy all of the time while finding true calmness and happiness inside yourself. 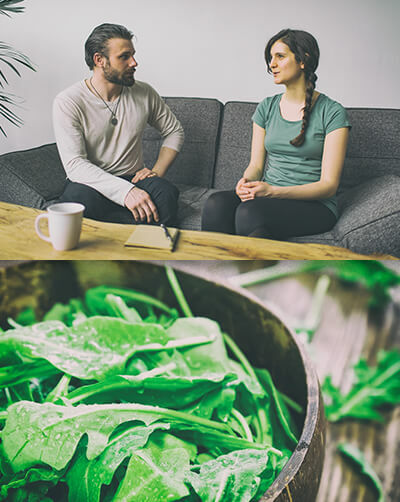 Starting with an initial consultation, we discuss, examine and check your current state of health and nutrition and then set you up with the first steps and tools for an unbelievable healing journey and then progressively follow up and add to it each meeting. The fastest way to improve, work one-on-one with one of our skilled instructors with lessons and skills development geared specifically for you and your needs. Whether your goals are health, breathing, combative or fitness oriented we will guide you on an inner journey to better know yourself, your limitations and how to break through them in a safe, straightforward and effective way. The body is an incredible tool, and by learning how to truly use it to its full potential you set yourself up for a full and fulfilling life, where you do not have to live and feel like a victim but a true warrior of life and an inspiration to others. 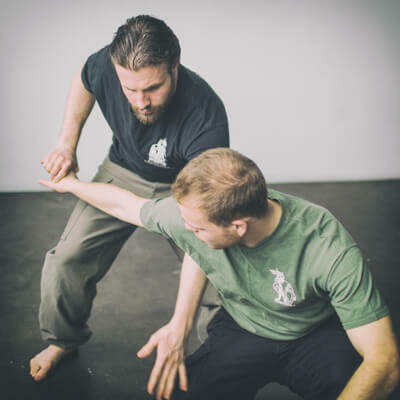 Systema Style massage is a blend of traditional and time proven secrets of healing the deep tissues of the body and psyche while creating a very strong body and will. Using small sticks, hands, feet, cossack whips and body weight, the muscles along the spine, organs and face are gradually released at the deepest level. Deep massage is not just about relaxing, it’s about true healing on all levels. We store so much of our stress, fears and emotions inside the tissues of our body and we carry this weight around with us, often for most of our lives. As the body becomes tighter and more tense our health both physically and psychologically suffers greatly and opens the doors to illness, disease and emotional trauma. Through massage and release of the tissues on that level we allow ourselves to release years and sometimes decades of stress and emotional trauma from the body and psyche, giving us a chance to start fresh with ourselves in a almost new healthy and incredibly strong body.